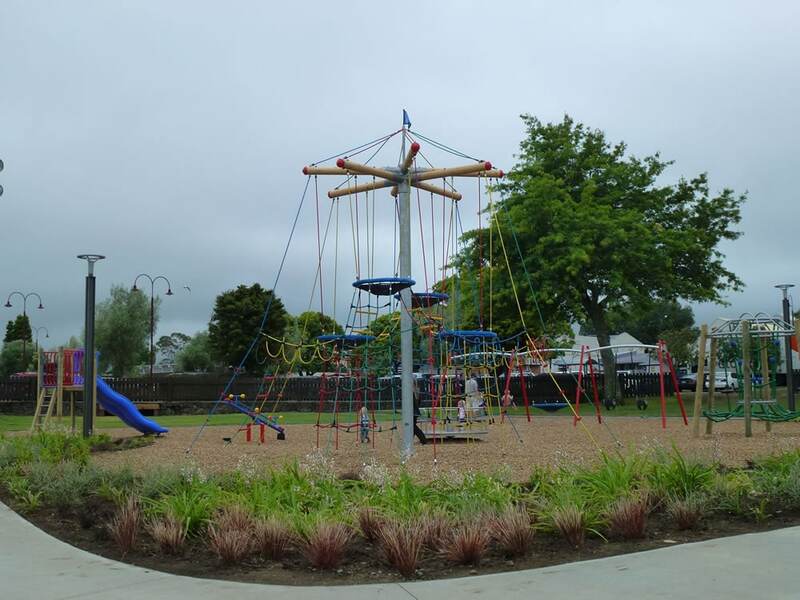 The vision for this project to provide unique and exciting equipment to attract general public to a destination playground. 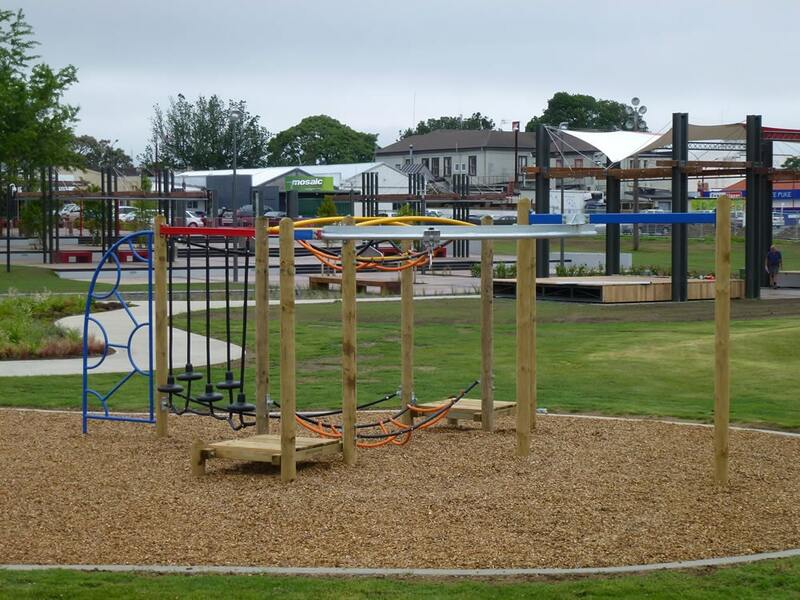 The playground had to be an asset to the city complimenting the updated walkway and modernising of the Park. 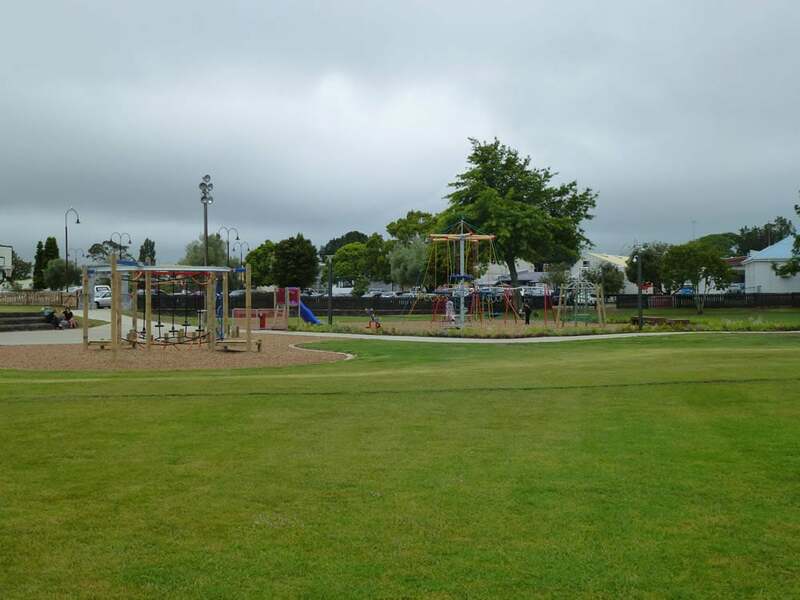 Attract future road traffic on the proposed motorway bypass to detour and stop in Te Puke. 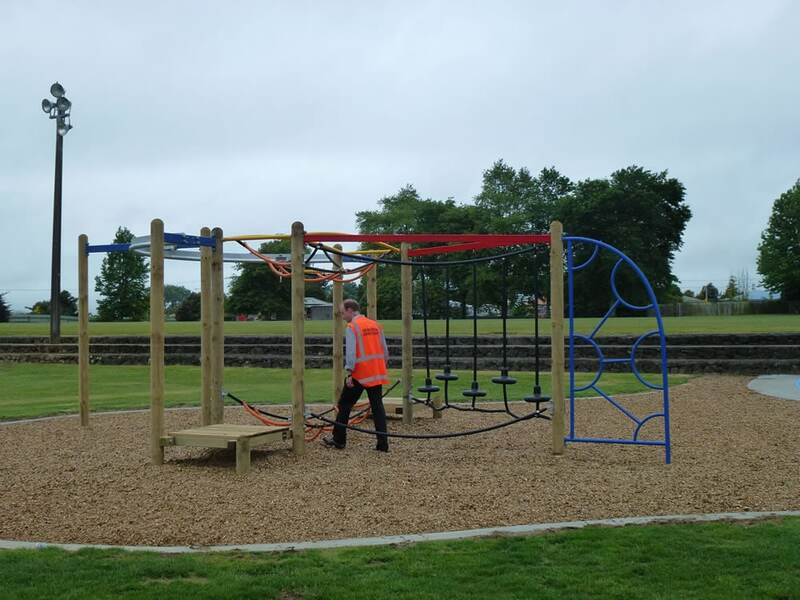 Allow the co-operation and interaction of different ages. 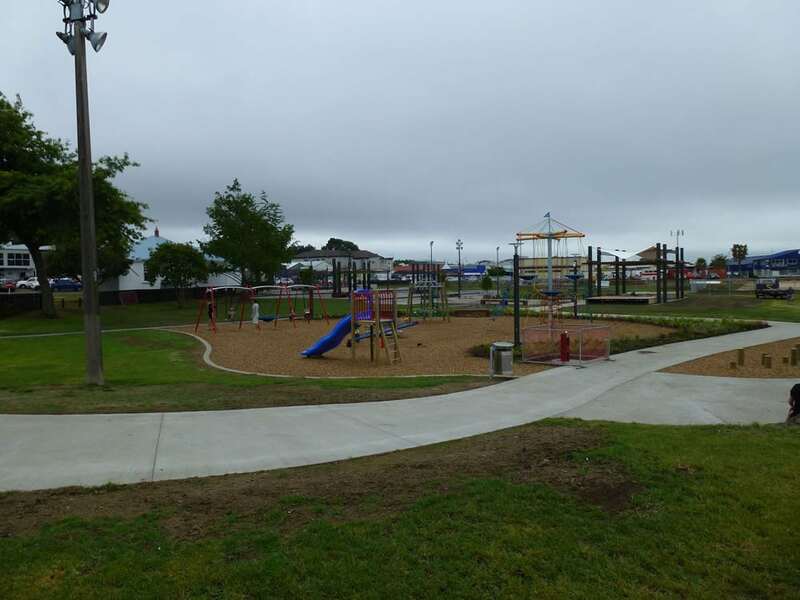 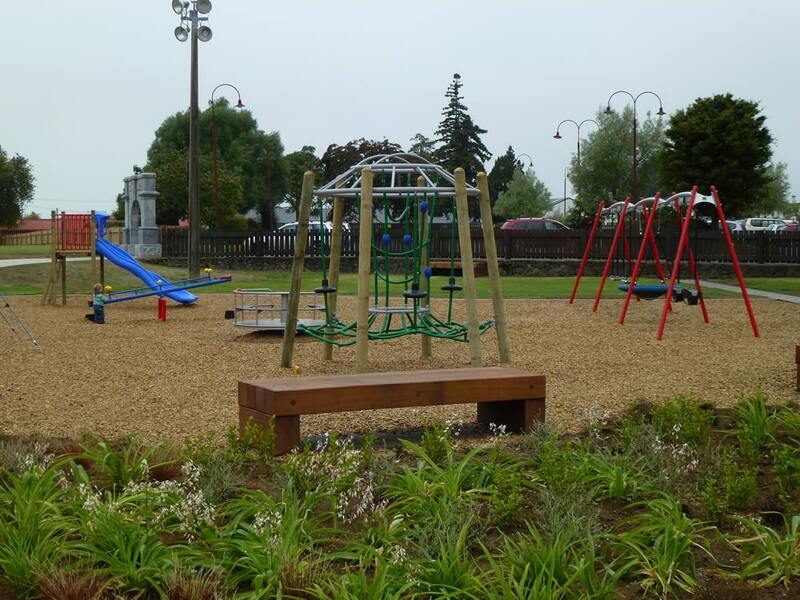 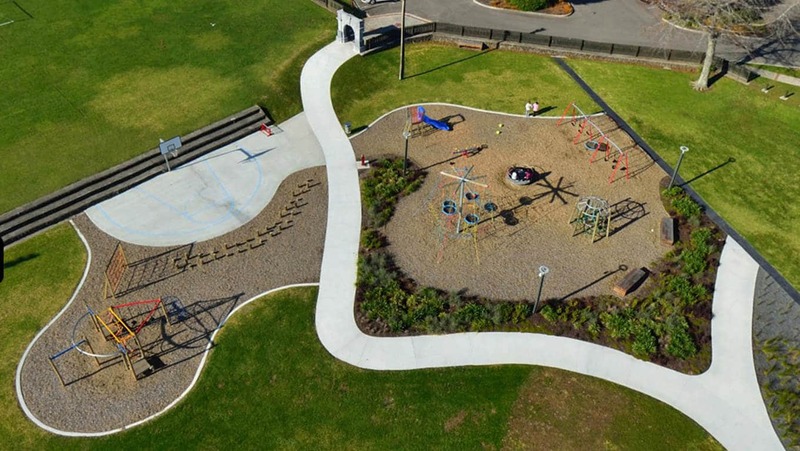 Playground Centre worked with the Local Board, Council, Project Manager and Contractor to achieve this awesome Park. 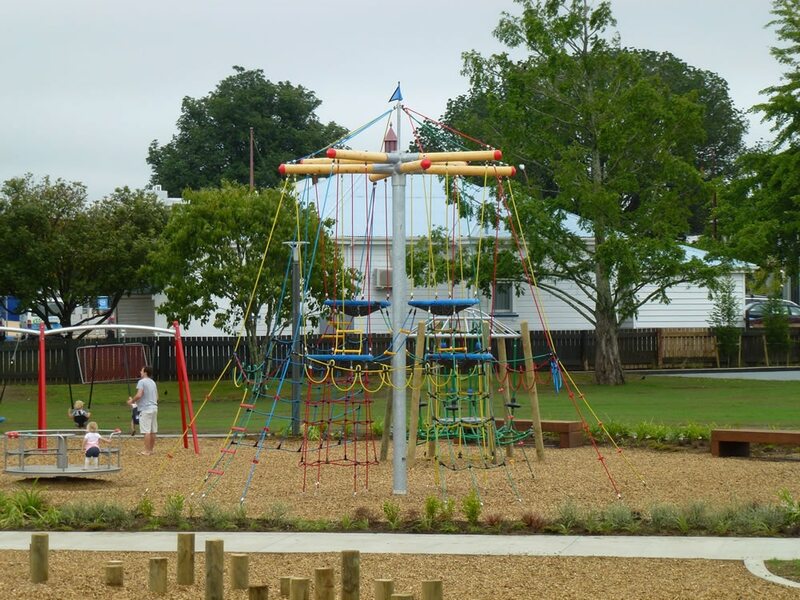 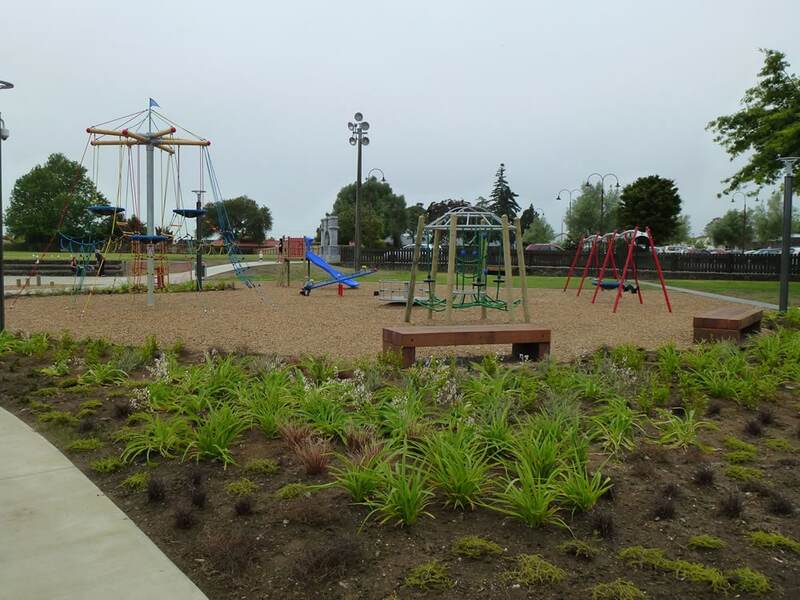 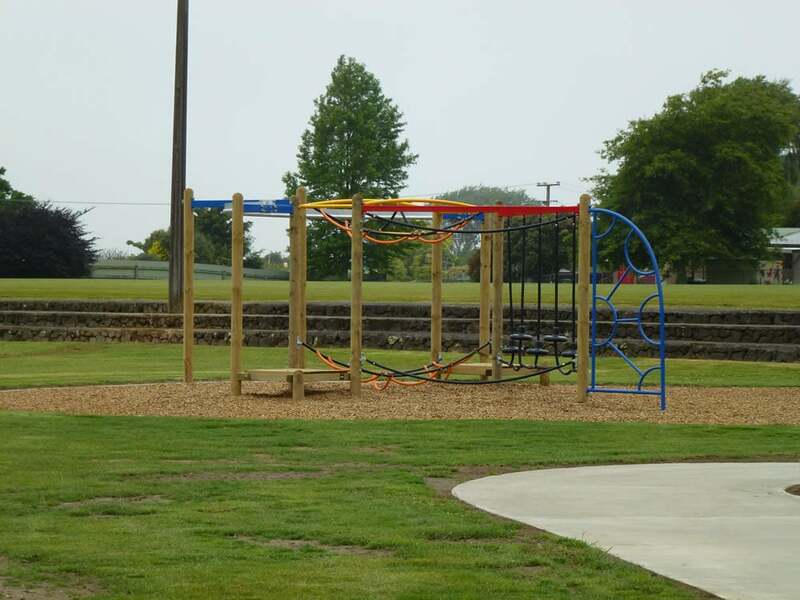 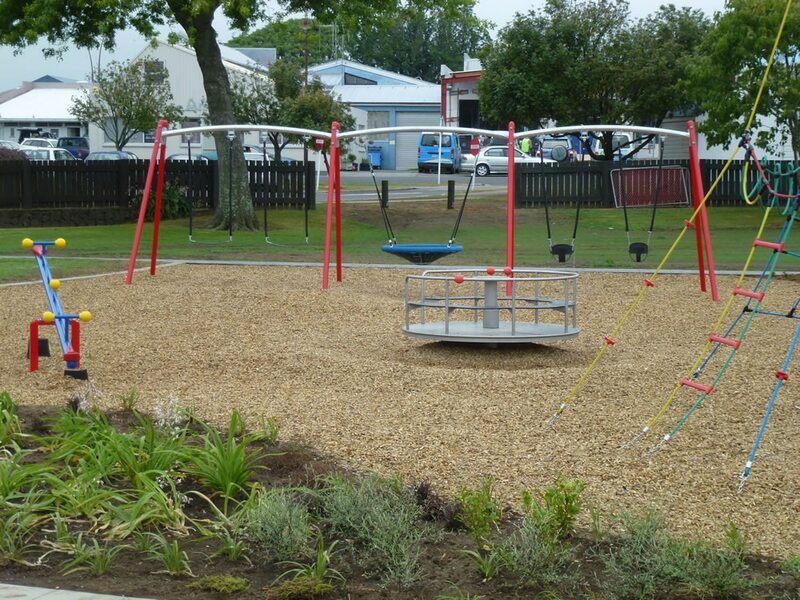 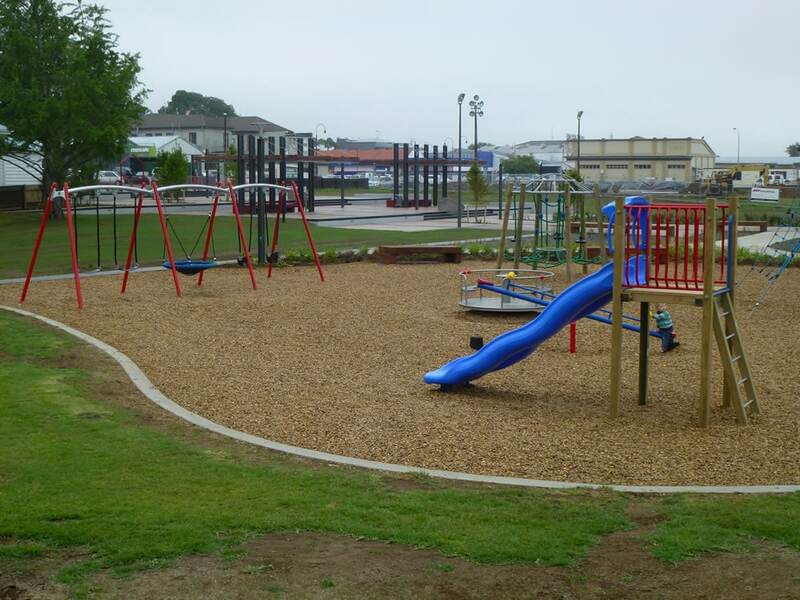 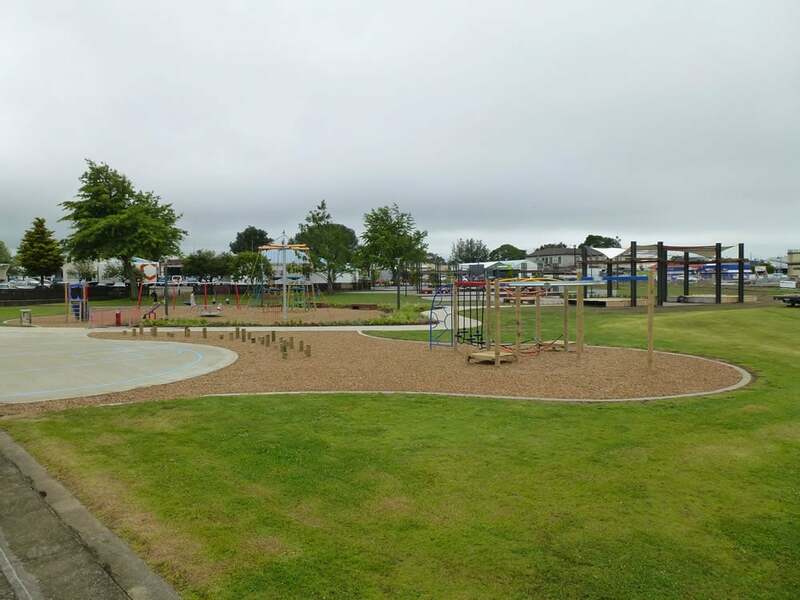 The Local board were initially consulted on their vision to design a playground would reflect the character of Te Puke and be unique. 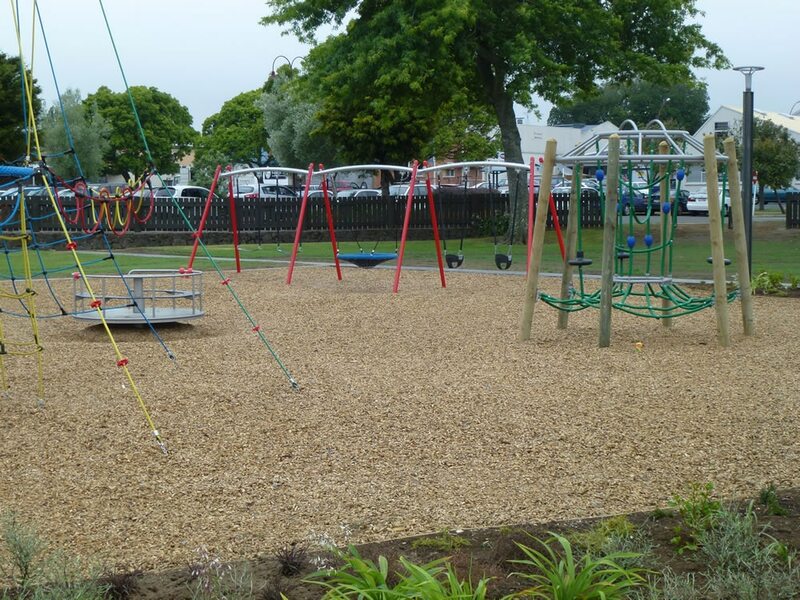 Given the large and ambitious Walkway refurbishment, from the main street to the park. 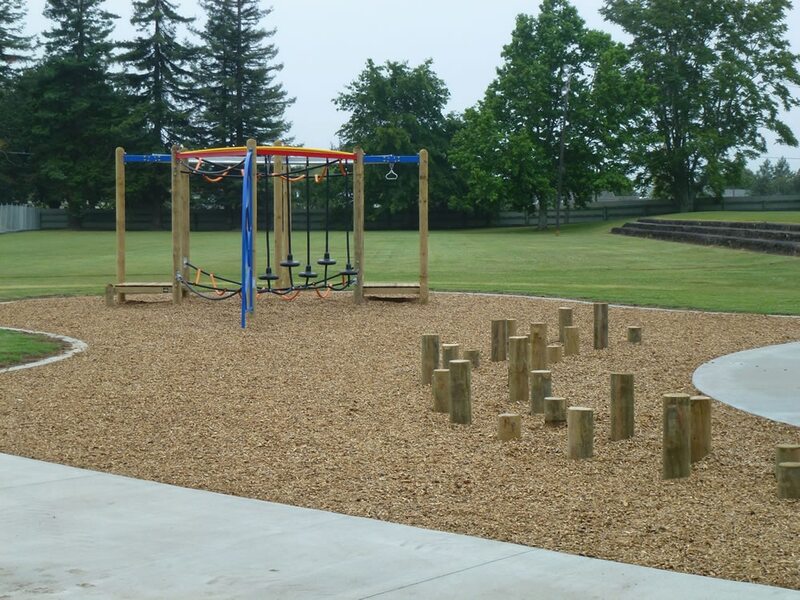 We worked with the Architect/Project manager to create options and ideas to fit concept, site and budget. 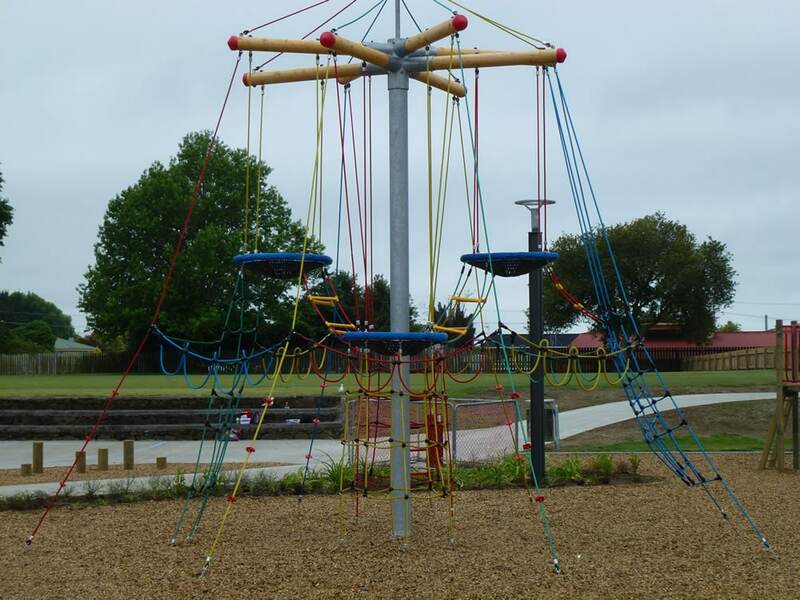 The 6m Tower with nests gives a kiwifruit vine impression as the centre of activity with an array of round shaped components and complimentary pieces. 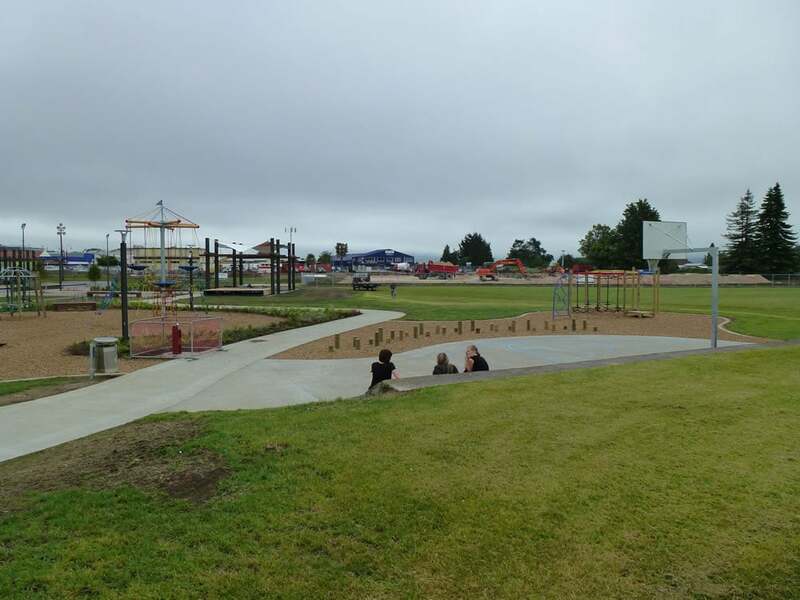 Encouraging more people into the park also increased the safety and security.